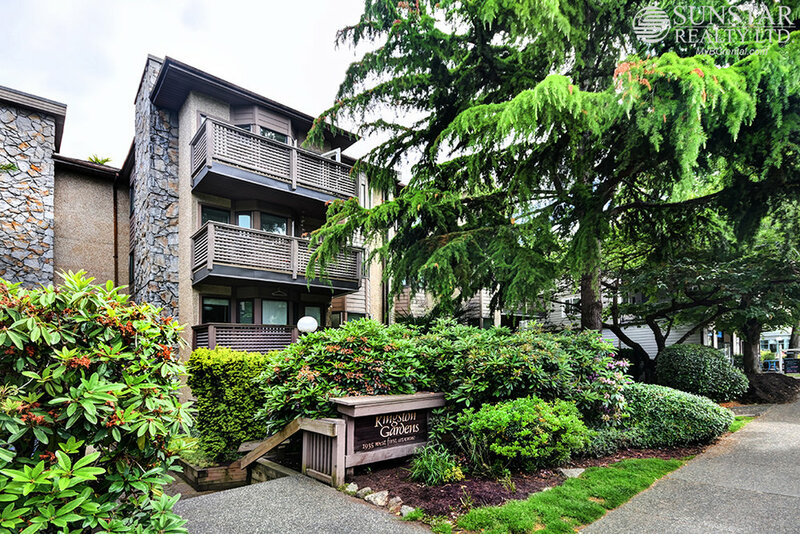 Kitsilano Furnished PH w/ Fireplace & Balcony @ Kingston Gardens - $3450 — Lynn Swanson At a glance guide to all currently available fully furnished properties managed or represented by Sunstar Realty Ltd. LOCATION:Walkers paradise in Kitsilano! Step out your door to a community filled with amenities; including restaurants Nook and AnnaLena, Rocky Mountain Flatbread, Central Gourmet, and Blue Sky Japanese Bistro. Also in the area are Be Fresh Organic Foods, Koko Monk Chocolates, Jusu Juice Bar, bike rental station and Ron Zalko Gym. All within a block of your condo! Walk or ride the nearby seawall to the Boathouse restaurant, tennis courts; Kits Beach is a couple blocks walk, enjoy the beach or take a swim at the Olympic sized Kitsilano outdoor pool. Transit is one block away, great shopping on 4th ave, quick to Downtown Vancouver by car. Fantastic location for walking, biking and transit. FEATURES: This is a rare find! 727sf spacious open layout fully furnished one bedroom penthouse in Kitsilano. This home has many unique and special features like it's vaulted ceiling, plenty of opening windows and generous skylights which bathe the home in filtered light and create a bright and expansive feel. Balcony off the living room is furnished with chairs and a table; perfect for your morning coffee. 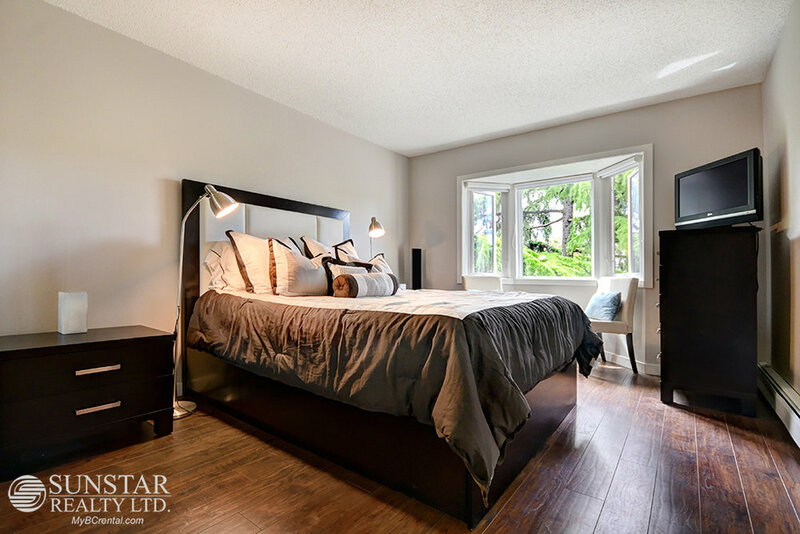 The home is furnished beautifully in a tasteful modern style with colourful accents, new laminate hardwood floors throughout and a gas fireplace for those cozy rainy days. Built in desk makes a perfect workstation. Kitchen is outfitted with new stainless steel appliances (Fisher Paykal fridge, Samsung dishwasher and oven), new Corian counters, soft close cabinets and tile floors. Great layout for entertaining. Guests can linger on the bar stools at the kitchen counter, sip wine and watch you cook! Large bedroom has ample space and an organized closet system, (and 6 storage drawers under the bed, one large tall boy dresser, two smaller bedside dressers), TV and Queen sized bed (windows with blackout blinds). Spa like bathroom includes a deep soaker tub and rain head shower (all fixtures are high end Moen brand), large bathroom cabinet with 6 drawers, and a quiet tank-less Kohler toilet. Separate from the suite but still close is a fantastic 300sf semi private rooftop deck exclusive to the tenant with mountain views. The unit also features insuite laundry. Live here and be part of this vibrant Beachside Kitsilano community. Kitsilano Furnished Penthouse - Sunstar Realty Ltd.